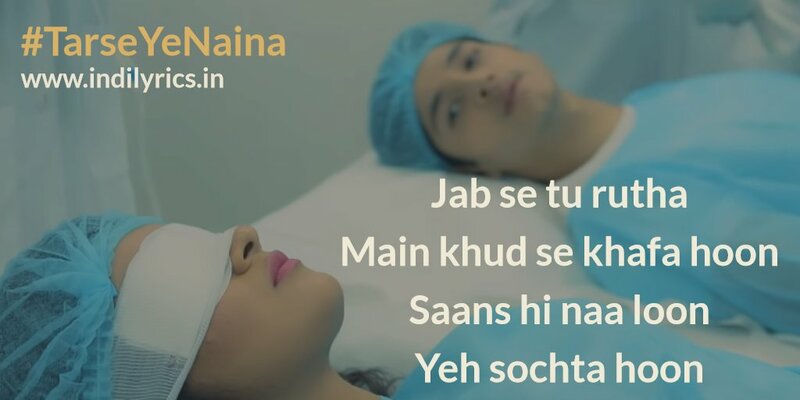 Tarse Ye Naina Full Song Lyrics with English Translation and Real Meaning Explanation from latest Zee Music Originals single track. The heart breaking love song has been composed by Ramji Gulati while Kumaar penned the lyrics, Anand Bajpai sang this song, the music is available under the label of Zee Music Company. The audio mp3 version of Tarse Ye Naina is free to download from Gaana, Wynk, JioSaavn and all other online music portals, the music video of Tarse Ye Naina stars Rohan Mehra & Avneet Kaur. If you haven’t heard the song, do listen to it. You couldn’t recognize my heart’s feeling….